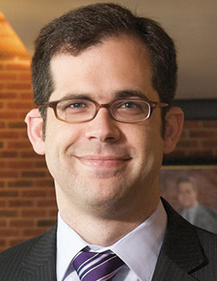 Ryan Bubb is Professor of Law at New York University School of Law. He joined the NYU faculty in 2010. He was formerly a senior researcher for the Financial Crisis Inquiry Commission and a policy analyst at the Office of Information and Regulatory Affairs. He earned a MA (Economics) from Yale University and a PhD in political economy and government from Harvard University. Ryan Bubb’s research focuses on regulatory policy, financial institutions, business organizations, and law and economics. The Volcker Rule aims to increase the stability of the financial system by banning banking entities from engaging in proprietary trading. But difficulties in defining what constitutes prohibited proprietary trading produce risks of both over- and under-deterrence. The goal of this project is to propose an alternative to the “define and ban” approach of the Volcker Rule: banning paying traders on the basis of trading profits. While regulating the structure of compensation contracts raises its own definitional challenges, even an imperfect compensation rule would create a powerful competitive disadvantage of banking entities relative to unregulated entities like hedge funds in the labor market for traders. If an organization cannot attract and motivate the best trading talent, it is better off staying out of the trading game altogether. Banning individual compensation on the basis of trading profits would more effectively end speculative trading at banks—and at lower cost in terms of over-deterrence—than the loophole-ridden current approach.